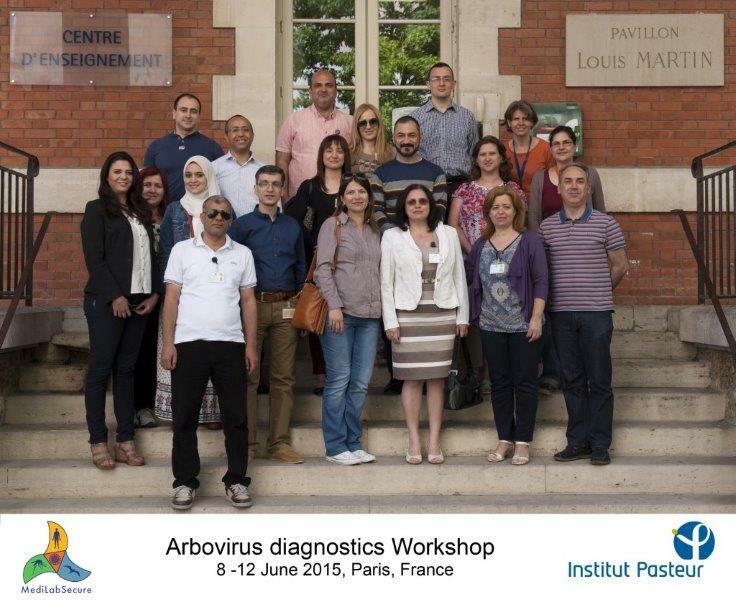 The second workshop of the MediLabSecure human virology work package took place at the Institut Pasteur in Paris, in June 8th to 12th, 2015. The objectives of this workshop were to build up capacity for arbovirus diagnostics and to enhance networking among laboratories of the human virology working group. The focus of this first workshop was on diagnostic methods for the detection of West Nile, Rift Valley fever and Chikungunya infections. 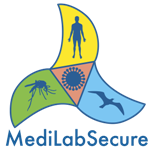 Within the scope of the MediLabSecure project, this workshop was organised in a One Health approach as the medical entomology and animal health aspects of these three viral infections were addressed additionally to the human health aspects. The diagnostic methods presented and performed by the participants included molecular and serological methods as well as commercial and in-house assays for the detection of West Nile, Rift Valley fever and Chikungunya infections. Training material is available in the members' area.